Life has been on the go-slow somewhat of late and I’m finding myself still catching up from a rather awesome Easter holiday break away. 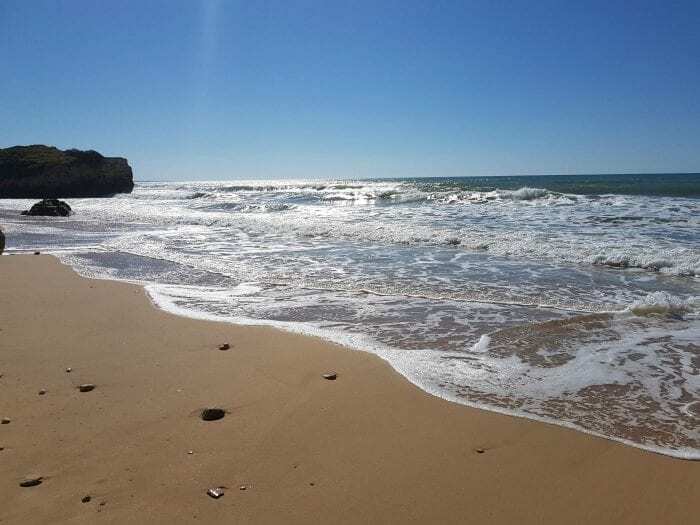 Mini Me and I spent a wonderful, sun soaked week in the Algarve for Easter… somewhere I have not been since I was a bambino and somewhere Mini Me has never been. It was just what was needed to shake away the Winter blues, soak up the sun and generally kick back and relax. It was the first holiday in a couple of years that I didn’t take my laptop and for once I was able to enjoy a work free week… it was absolute bliss and funnily enough the world still kept revolving even with limited WiFi access. When daily life revolves around internet access, it can be a shock to realise you can survive without it! The holiday was amazing and Portugal is definitely somewhere I would happily return to time again. Returning home and stepping off the plane to be greeted by rain was somewhat of a disappointment but certainly did not dampen spirits… however realising that I need to give the house a Spring clean alongside dealing with a suitcase full of washing did. Jobs such as the annual painting of the internal doors and wondering when to call out a plumber to finally fix a leaky tap are all on the list of domestic chores to crack on with. The list seems endless in reality and each year I do try and prepare a to do list with all the best intentions, however life always seems to get in the way. Not that I am complaining at all, life getting in the way of chores such as painting and DIY proves that memories are being made. Who am I kidding? Instead of looking at paint colours, I will no doubt be checking on holidays to Portugal again… whilst my to do list continues to grow!